ELAW U.S. helped win a unanimous landmark ruling this year from the European Court of Human Rights that could improve the lives of thousands in Russia who suffer from pollution-related illnesses. Lawyers with the European Human Rights Advocacy Centre called on ELAW U.S. for the science they needed to protect a Russian woman who is suffering serious health problems caused by toxic emissions from Russia’s largest steel manufacturing plant. Nadezhda Fadeyeva is a 56-year old mother of three. She lives in a government-owned apartment near the Severstal steel plant in Cherepovets, an industrial center 300 km northeast of Moscow. 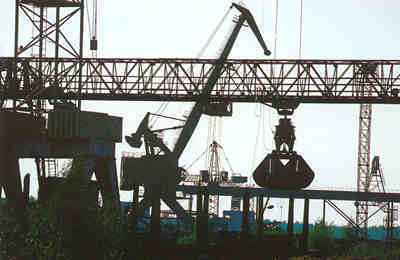 In 1965, the Soviet Government established a "sanitary security zone" around the steel plant. The government said it planned to relocate everyone inside this zone, but it never did. Mrs. Fadeyeva filed a case against the Russian government in 1995 seeking relocation, but authorities only put her on a waiting list. Lawyers at the European Human Rights Advocacy Centre in London took up Mrs. Fadeyeva`s case. They called on ELAW U.S. to assess the risk of exposure to pollutants near Mrs. Fadeyeva`s home. In June, the European Court of Human Rights relied on ELAW U.S.`s health risk assessment to issue a unanimous landmark ruling that the toxic pollution from the factory violated Mrs. Fadeyeva’s human rights. ELAW partner Phil Michaels said: "This case has the potential to fundamentally shift thinking in Europe on the connection between human rights and the environment." Phil is a lawyer with Friends of the Earth U.K. and has collaborated with ELAW U.S. for many years. See: The Times Online (U.K.), "Legal Victory Gives Hope to Victims of Russia’s Smokestacks," June 10, 2005. For more information about this ELAW Impact, please contact the Environmental Law Alliance Worldwide at elawus@elaw.org.